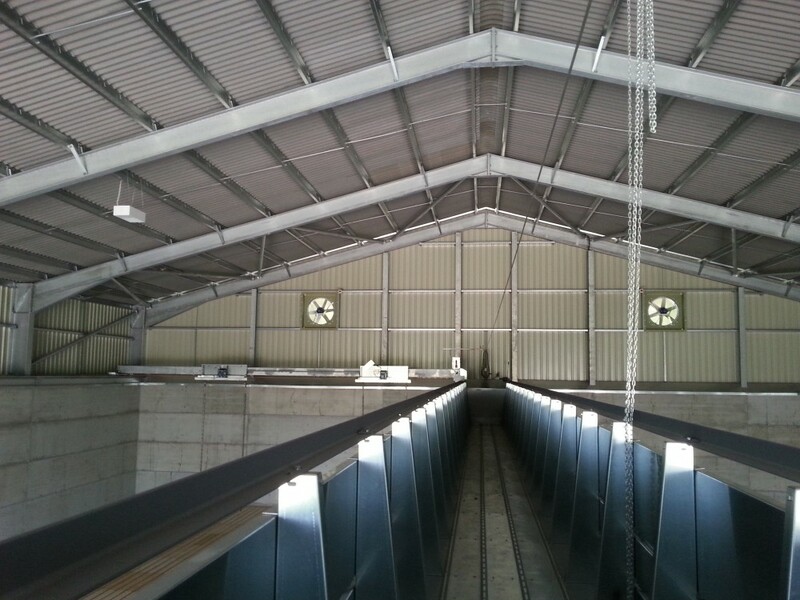 Stirrer drying grain store for 2015 harvest - Bennett & Co Ltd.
One of Bennett and Co’s major projects in 2015 has been to complete a new grain store at Brook Farm Catworth. Mike Bennett has had long experience with Harvest Installation’s stirrers having put the first one into a Norfolk grain store nearly 25 years ago. It is now a tried and tested technique and Mike finds most clients discuss the possibility of a stirrer when building a new grain store. He has been supplying its allied product, the Constant Humidity Controller, since the late 80’s. In fact, he would recommend a CHC for any on floor bulk drying of grain with or without a stirrer. The product has been around a long while and been regularly updated and improved. Without it you are unable to dry continuously 24 hours a day and drying can extend well towards Christmas as the days with good conditions become less. However when drying at high temperatures with a stirrer it is possible to switch CHC, stirrer and fans off at night and conserve energy and not disturb the neighbours!